From this photo, I was inspired in composing the following poem. 地上三影三人夢. 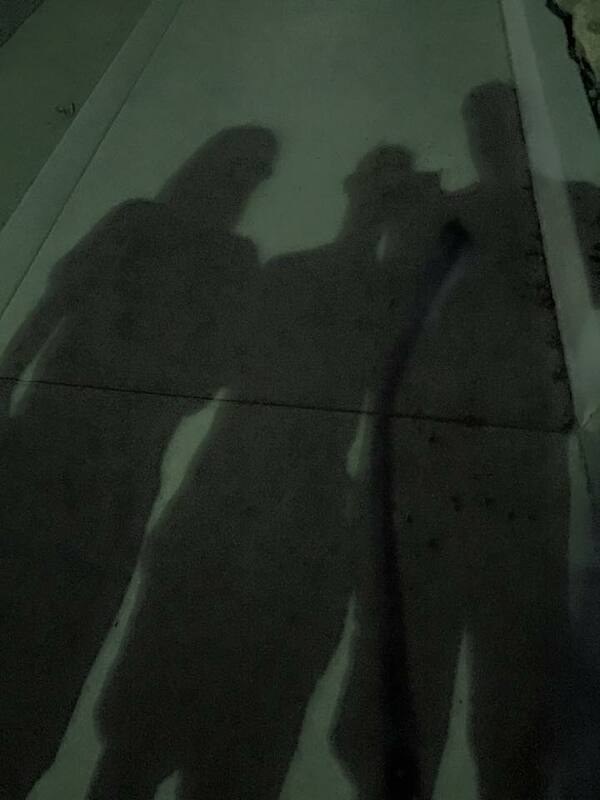 On the ground, three shadows, dreams of three. 好比無緣無相逢. Better than not having this happened at all. 無緣無份無相逢. No fate, no destiny, no rendezvous.